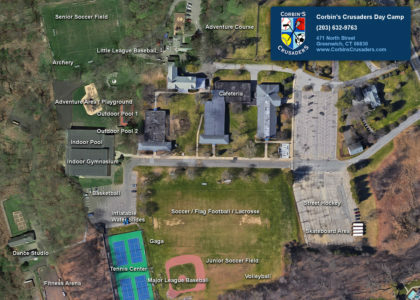 Located in Greenwich, CT, Corbin’s Crusaders is a summer day camp that builds character through sports and adventure. The Corbin's Crusaders Summer Day Camp serves children ages 3-14 for amazing summer fun in many different areas. Sports: Tennis, soccer, basketball, volleyball, baseball, hockey, and more. Their coaches work individually with each camper to help them master new skills. Swimming: Corbin's Crusaders has developed a unique, progressive swim curriculum that includes a small-group instructional period and one recreational period per day. 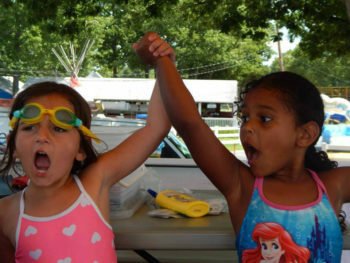 Instruction spans all skill levels – from the basics of water adjustment for beginner swimmers to stroke refinement and competitive swimming techniques. Their swim graduation requirements are pretty impressive! 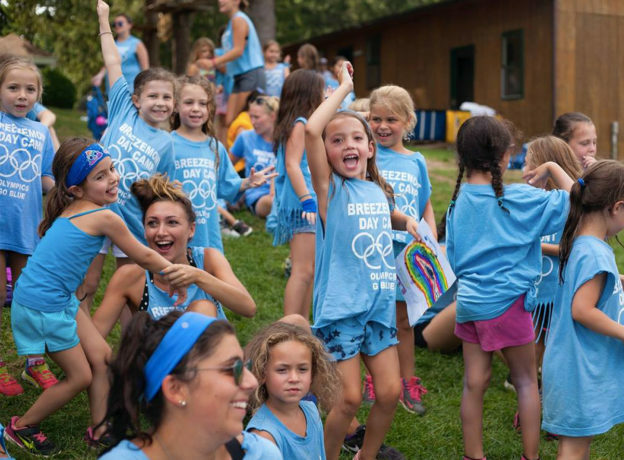 Adventure: Archery, hiking, skateboarding, and a boat load of special events make Corbin's Crusaders the perfect place for your child to explore their adventurous side. Spirit: The day starts and ends with Corbin's Crusaders incredible camp spirit! From the second your child gets on the bus (they offer transportation!) -- until the second they get home -- there is cheering, singing, and fun. 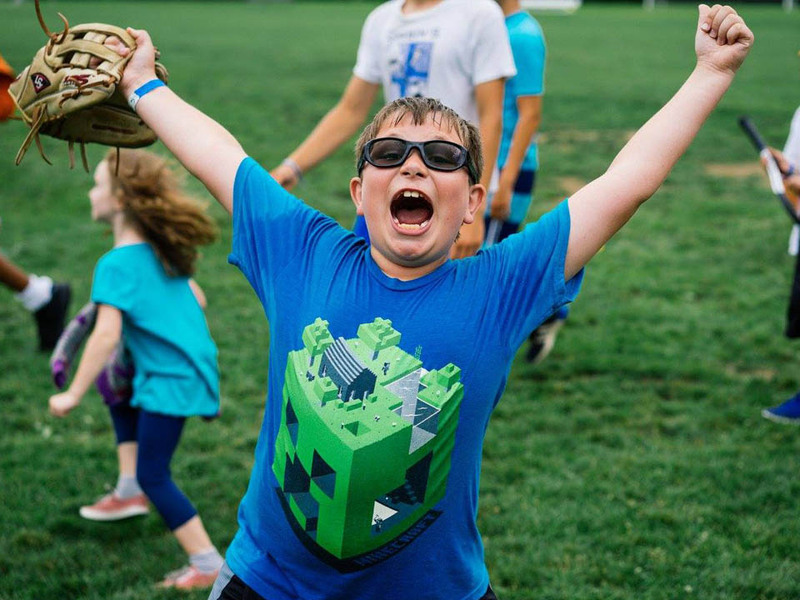 At Corbin's Crusaders, every day is a celebration! All of these activities, and more, take place on over 38 acres of beautiful open green space and modern facilities. Campers are coached and led by seasoned, professional men and women. 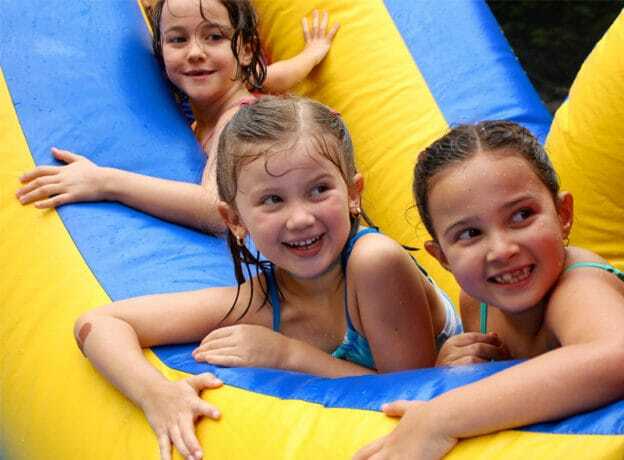 Their job is to help your child take their skills to the next level and have a blast. Corbin's Crusaders Summer Day Camp is the perfect setting in which children can grow and flourish. At camp, campers create lifelong friendships in a compassionate and accepting environment, while learning how to challenge themselves and gain self-confidence. 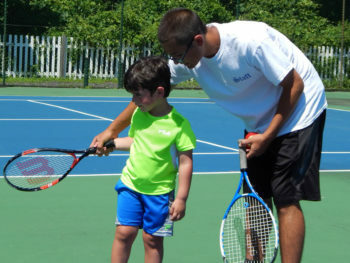 Campers are coached by experienced men and women dedicated to your child. 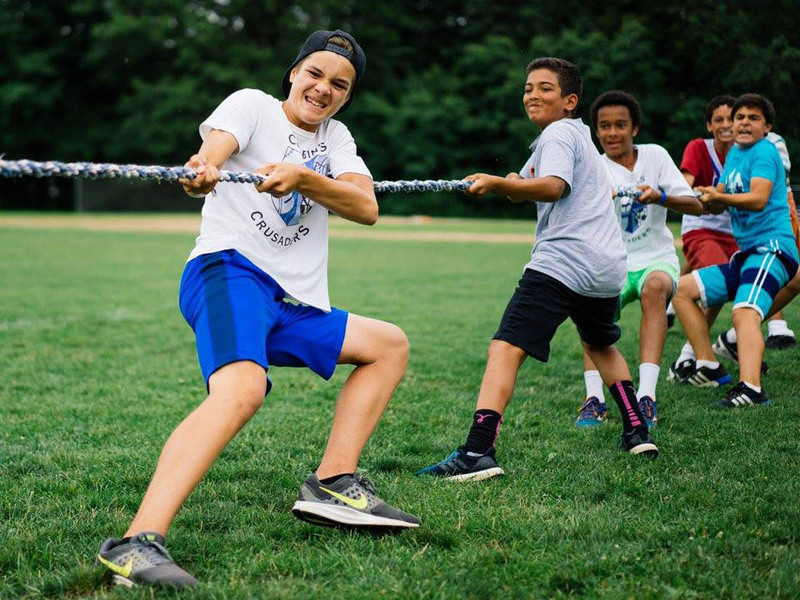 The Corbin's Crusaders coaches provide the individual attention that each child needs to reach new goals. 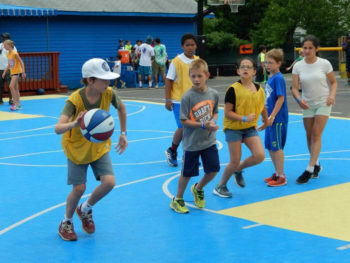 The coaching method at Corbin's Crusaders ensures that each camper improves athletically and increases self-confidence. They break down each sport into skill sets that kids can master and then progress to the next level. Campers practice with a series of interactive drills and then play in games, matches or tournaments to demonstrate what they have learned to enjoy competition and develop sportsmanship. 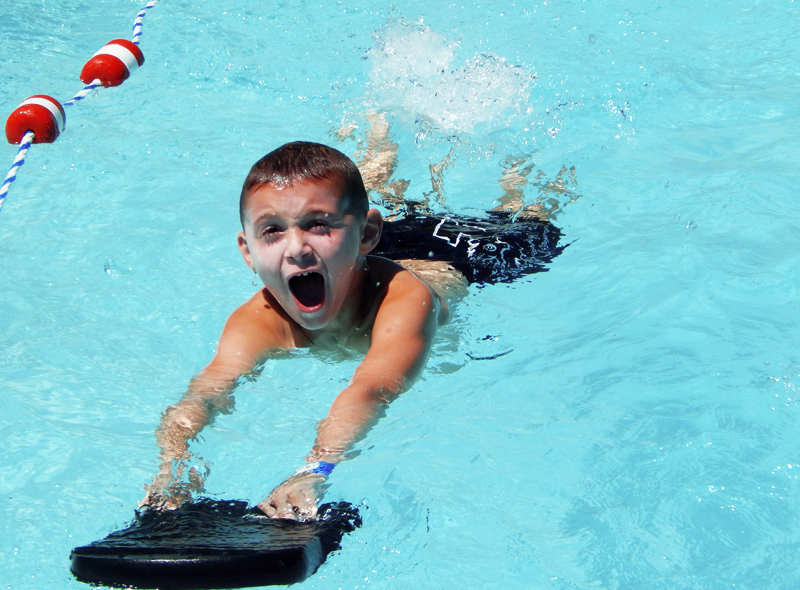 Boys and girls ages 3-13 will experience unlimited outdoor sports fun and adventure this summer at Corbin’s Crusaders Day Camp. 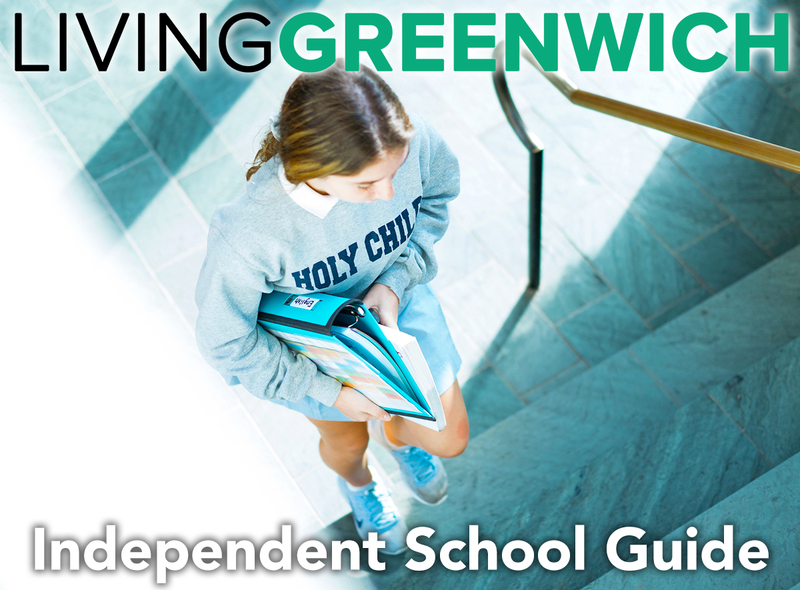 Located on an expansive and beautiful 38-acre Greenwich campus. 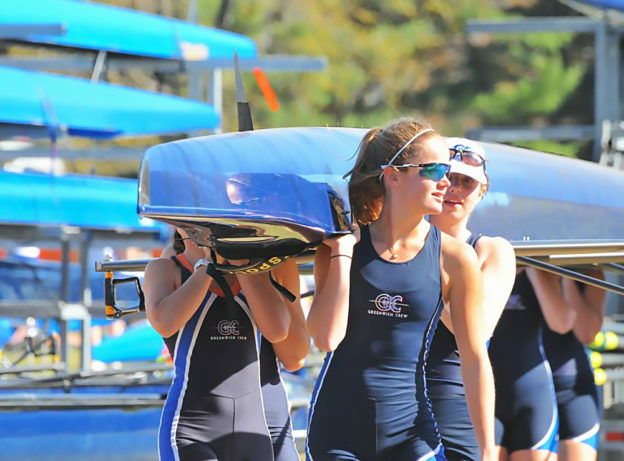 Professional, dedicated and enthusiastic sports instruction. They teach and play baseball, soccer, basketball, lacrosse, flag football and tennis. 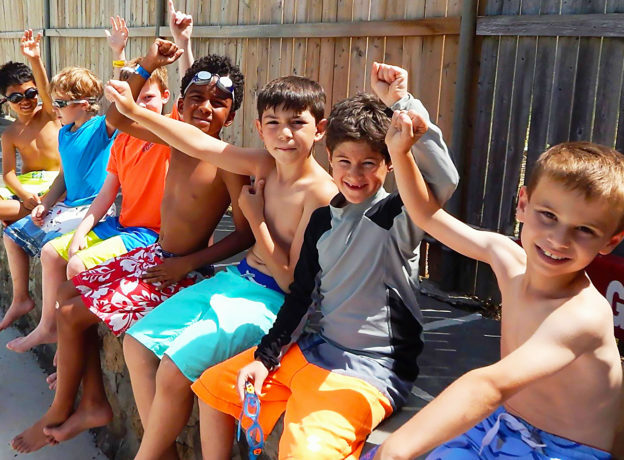 Adventure program includes hiking, waterslides, skateboarding, archery and more! Flexible schedules. Join Corbin's Crusaders for one week or the entire summer. 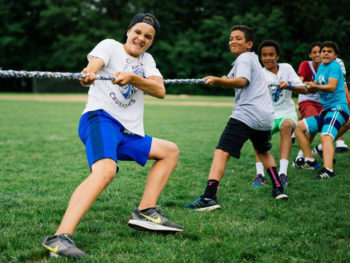 Corbin’s Crusaders started in 1996 with a director and staff dedicated to helping New York City children build character through sports and adventure. 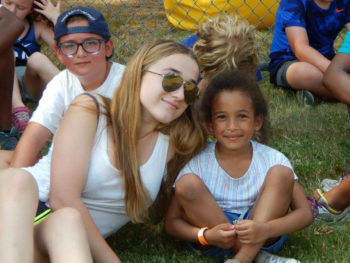 Thousands of children have come to the After School Program and the Summer Day Camp. As they continue to expand, they remain a family organization striving to help each child reach his or her potential on and off the playing field. 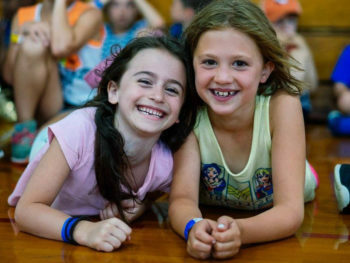 Their program grows each year through their top-notch reputation and flourishing partnerships with New York City’s prominent independent and private schools. As parents they understand the importance of a positive self-image and individual development in every child’s life. 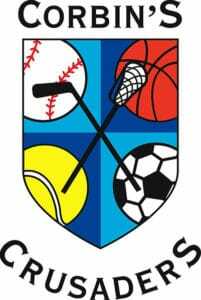 At Corbin’s Crusaders they use sports to enhance your child’s potential and encourage all children to develop into confident players regardless of their skill level. Using sports, positive feedback and cooperative learning games, children begin to show the characteristics of teamwork and sportsmanship. Corbin's Crusaders uses their Skills, Drills and Thrills Method to help each child and team advance the next level. 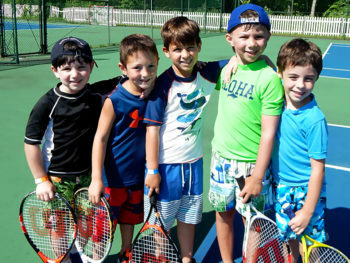 They breakdown a sport into one or two fundamental skills and then practice them with fun and exciting drills. Each day, there is a thrilling game situation so players can see immediate improvement, which creates confidence. They believe a strong sense of self benefits each child significantly and translates to life off the field. 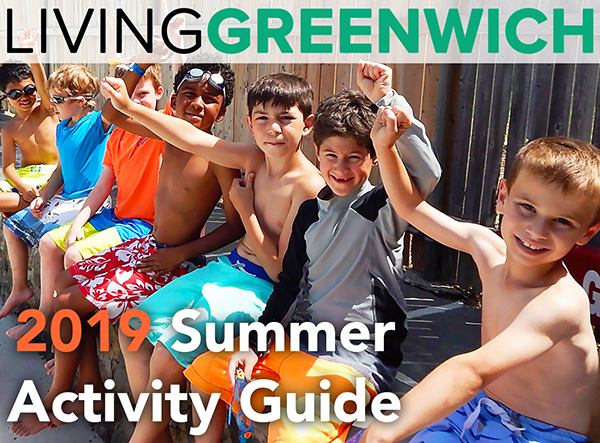 Address: 471 North Street, Greenwich, CT 06830.